The Scriptures are a diverse compilation of writings encompassing a few thousand years of human history. As such, it can be difficult to understand them if you don’t recognize this context. St. Peter even writes that St. Paul’s letters can be hard to understand (2 Peter 3:16), even though Paul wrote around the same time St. Peter did! However, it is not impossible to understand the Bible. In fact, it is essential to do so. 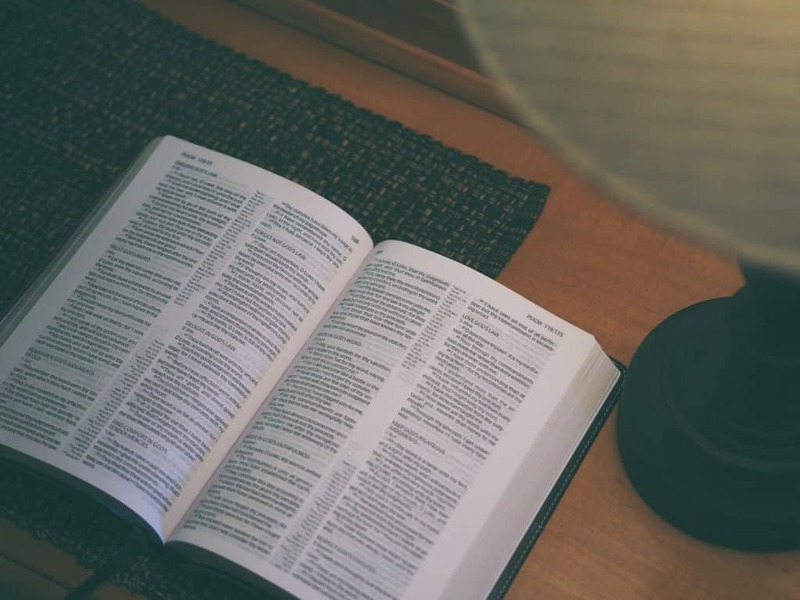 As St. Jerome said, “Ignorance of Scripture is ignorance of Christ.” Here are 5 ways to help make the Bible easier for you to understand. The stories in Scripture take place within a particular time and context. The authors faced similar circumstances as our own, but within their own historical context. Many New Testament books (such as the Gospels) were written to specific Christian communities addressing their particular needs. [S]ince God speaks in Sacred Scripture through men in human fashion, the interpreter of Sacred Scripture… should carefully investigate what meaning the sacred writers really intended, and what God wanted to manifest by means of their words. … For truth is set forth and expressed differently in texts which are variously historical, prophetic, poetic, or of other forms of discourse. The interpreter must investigate what meaning the sacred writer intended to express and actually expressed in particular circumstances by using contemporary literary forms in accordance with the situation of his own time and culture. The historical context is vital to understanding the Scriptures. For example, the context of Genesis can tell us that the creation stories are not intended as historical or scientific texts. Therefore, it is possible to read the Bible without denying scientific evidence about the history of the created universe. Read from the Scriptures, not into the Scriptures. Let God try to communicate to you what he wants you to know. It’s easy to fall into a habit of reading a preconceived notion into a passage to fit our own ideology, but a more fruitful way is to let the Scriptures speak to us. To ensure that the message you read is in accord with God’s intended message, look to the Church and the Bible as a whole for guidance. This can prevent you from reading your own ideology into the Scriptures. Taking one or two verses from the Bible and ignoring the context of the Church and the rest of the Bible often results in errors in understanding what those verses mean. Proper understanding comes through allowing yourself some time to think about what you read. Meditate on it. Think of how it might apply to your life. What is God trying to communicate to you through that passage? Although the human authors of Scripture wrote in a particular context and to a particular audience, God is the primary Author of Scripture. Therefore, the Scriptures were also written to you. That means that there is a message in the Bible that God speaks to you. An oft-used analogy is that the Bible is God’s love letter to each of us. What does this text tell me about God? What does this text tell me about the people of God? What does this text tell me about myself? Something as rich and vast as the word of God never exhausts its meaning on the first (or the hundredth) read. Re-read it as many times as you need to help unfold the various dynamics that might be taking place. A word or phrase might jump out at you on a second or third reading. Perhaps looking to a commentary will help you understand something better, and then you can go back and re-read the passage. 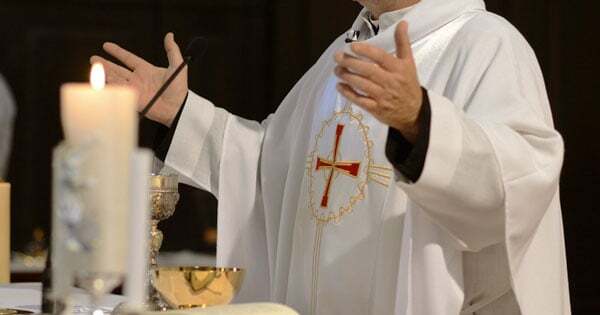 If you feel like tuning out a Gospel at Mass because you’ve heard it all before, focus on the details that you may have missed before. Re-reading the Bible is not only a good idea in the short term, but also in the long term. A passage that didn’t touch you a year ago might be exactly what you need to hear today. For example, if you’re going through a difficult time reading the Psalms of lament will probably be more comforting than the Psalms that express joy in God. But when you come out of that difficult time, the Psalms of rejoicing might be great guides for your prayer. This is one reason that Biblical stories we’ve read a hundred times still have something to say to us on the next reading. Reading the Scriptures in a group allows for a chance to discuss it and hear how God is revealing himself to other people. In fact you might learn how God is revealing himself to you through your discussion with another person! Hearing another person’s perspective on the Scriptures might also help you see details and messages you missed in your own reading. It can be very helpful to discuss the Scriptures with a trusted friend. Another context in which to reflect on the Scriptures is a Bible study. Many parishes have Bible studies. If a knowledgeable person leads the study, it can help you understand both the historical background and the message God intends to send through the Scriptures. The Church teaches that “Easy access to Sacred Scripture should be provided for all the Christian faithful” (Dei Verbum). Knowledge of the Scriptures is essential for understanding Christianity as a whole. This is one reason for all of the Scriptures read at Mass and portrayed in religious art: even those who are illiterate can become familiar with the Bible. The great treasure of Scripture is even greater when we come to a fuller understanding of each book and how to read it. God truly speaks to us through the Bible. What a wonderful gift! If you ask people what the Bible is, most of them will be able to tell you that the Bible is the Sacred Scripture for the Christian faith. This is true. But if you ask people what Catholics believe about the Bible, you will probably hear a lot of different answers. Many people may not even have an answer. 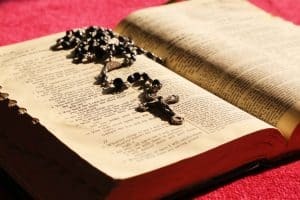 So what do Catholics believe about the Bible? Let’s take a look! Who wrote the Bible? Was it God? Or was it human beings? The answer for Catholics is a resounding “Yes!” The Bible is the word of God in the words of human beings. God is the primary author of the Bible, so we know that whatever Scripture asserts to be true is in fact true. When we understand it correctly, the Bible will never lead us astray. The Bible is divided into two main parts, the Old Testament and the New Testament. The Old Testament was written before Jesus’ life, and the New Testament was written after. There are many different kinds of books in the Old Testament, including history, poetry, and prophecy. The Old Testament contains wisdom and knowledge about God and about ourselves. It also foreshadows and points to Christ. Even though it was written before Jesus came, the Old Testament is important, and Catholics don’t ignore it. The Gospels (the four books that focus specifically on the life, death, and resurrection of Jesus) are the heart of the New Testament. The rest of the New Testament is mostly epistles (letters) written by Paul or other Apostles. The Old and New Testaments are closely related to each other. Catholics read the Old Testament in light of the New Testament and see how the Old Testament foreshadows the New Testament. The events in the Old Testament are not less valuable even though they are foreshadowings of a later reality. Instead, they are vitally important evidence of God’s loving care for humanity throughout history. Catholics must read New Testament in light of the Old Testament, which prepared God’s people to understand who Jesus was when he came. God inspired human beings to write the Bible. These men used their own abilities and perspectives to write the books that became part of the Bible. For example, Luke says he did research into the sources of the information he put into the Bible. Luke was also a skilled storyteller, and he tells the life of Christ in a very engaging way. God did not dictate the Gospel word-for-word to Luke. Instead, he allowed Luke to use his own unique talents in writing his Gospel. Catholics believe that whatever the Bible asserts to be true is actually true. Does this mean that God must have created the world in seven 24-hour days, or that Jesus wants us to cut off body parts if they lead us to sin? No! Not everything stated in Scripture is asserted. The truth the author of Genesis wanted to convey was that God created the world out of love with a plan. When Jesus said that you should cut off your hand if it causes you to sin (Matt 5:30), he was using hyperbole to tell us how important it is that we avoid whatever causes us to sin. When interpreting the Bible, it is important to understand the authors’ intentions in writing the books. A book like 1 Kings is historical; a book like the Song of Solomon is poetic; a book like Revelation relies heavily on symbolism. Therefore, when interpreting 1 Kings, the Song of Solomon, and Revelation, Catholics use different standards in figuring out what the books are trying to tell us about God and about ourselves. Because God inspired the Bible, Catholics need to interpret the Bible in the light of the Holy Spirit. At heart, the Bible has one author, so when Catholics interpret the Bible they understand that the Bible will never contradict itself. I would not believe in the Gospel, had not the authority of the Catholic Church already moved me. Catholics (and others) can see in the Bible God’s love letter to human beings, and his love letter to each person. Catholics should always be grateful for the Bible. this wonderful way not only to know about God, but also to form a deeper relationship with God. Editor’s note: All Scripture references are from the Gospel of Matthew unless other wise noted. Throughout the New and Old Testaments of the Bible, one may detect, among others, three major themes: Particularity and Universality; Nature and the Natural Law; and Grace. All three topics permeate the Bible, and yet may also be perfectly demonstrated in one single text: the first chapter of the Gospel of John. As in all the teachings of the Bible, these three themes communicate doctrines that apply to all mankind. One must fully grasp the concepts of Particularity and Universality, Nature and the Natural Law, and Grace, however, before he may extract the deeper meaning. The idea of Particularity and Universality may be interpreted in two different ways. Firstly, there is the situation where the literal level, sensus literalis, of a text may apply to a specific people or teaching (Particularity), while the deeper sense, or sensus plenior, may be referring to mankind in general (Universality). One example of such a text is Genesis 3:15, which states, “I will put enmity between you and the woman, and between your offspring and hers; He will strike at your head, while you strike at his heel.” On the literal, particular level, it would seem that God is referring to Eve alone, and her “offspring” is mankind. The “you” referred to is the snake, the symbol of evil and Satan; his offspring are demons. “He will strike at your head…” implies that mankind, the offspring of Eve, will be embroiled in a constant battle with evil. This literal level translation denotes the universal aspect of the text. The particular, then, is the sensus plenior, the idea that “the woman” is the Virgin Mary, and her offspring is Jesus Christ. The Divine Offspring will destroy sin for all mankind, but the devil, though destroyed, will return with a vengeance. There will be an endless struggle for souls between Christ and Satan. Thus, the particular is made clear by the deeper meaning of the text. The other method of advancing Particularity and Universality is through a symbolic foreigner. There are many instances of foreigners being invited into what were previously only strictly Jewish ceremonies or communities. The Book of Ruth serves as a perfect example. Ruth, a Moabite and therefore outsider, rejects her own familiar religion and customs to remain with her Israelite mother-in-law, Naomi. Ruth is not only embraced by the Israelite community but actually marries an Israelite named Boaz and becomes the great-great-grandmother of Jesus Christ. Through the example of Ruth, it is clear that the Israelite people, who are God’s Chosen People from whom the Messiah will come, are not granted an exclusive monopoly on salvation. The belief that they are the particular elite comes crashing down with the addition of one from another culture: Ruth, the universal symbol. The Book of Jonah treats of the same theme as Ruth, for the Ninevites, in their wickedness, are about to be destroyed by God. Jonah is sent to preach to them, they repent, and God retracts His punishment. Jonah, however, only understands particularity, for he is disappointed and wants God to punish them. He does not comprehend that God reaches out to all in His Divine Universality. Some other texts which speak of foreigners preaching Israelite truths are Genesis 12:3, Exodus 3:15, Isaiah 56:6, and Acts of the Apostles 18:25. Thus, the foreigner interpretation of Particularity and Universality abounds. Next, Genesis 1 best defines the idea of Nature and a Natural Law. The natural hierarchy of all Creation points to the fact that there is an order to it. God is the highest form of Being; indeed, He is Being Itself. Next comes man, who has being and reason, and of whom God said, “Let us make man in our image, after our likeness” (Genesis 1:26). The beasts have being as well, but are distinguished by men in that they do not have reason. Plants have only existence, and minerals, last of all, are solely matter. The “image” and “likeness” of God in which man was created are human nature and grace, respectively. Grace will be treated of later, so only human nature will be discussed here. The two parts of human nature are reason and free will, and these two must agree. Free will can only be used justly when it is in accord with reason. What guides reason, then? Clearly, there must be a sort of natural law by which the reason knows the difference between what is right and what is wrong. God Himself makes it clear that such a law exists: “If you do well, you can hold up your head; but if not, sin is a demon lurking at the door: his urge is toward you, yet you can be his master” (Genesis 4:7, emphasis added). St. Paul, thousands of years later, emphasizes the same idea in his letter to the Romans. “[The Gentiles] show that the demands of the law are written in their hearts, while their conscience also bears witness and their conflicting thoughts accuse or even defend them” (Romans 2:15). Even in Moses’ time men recognized the existence of the natural law, for Moses proclaims, “For this command which I enjoin on you today is not too mysterious and remote for you…. No, it is something very near to you, already in your mouths and in your hearts; you have only to carry it out,” (Deuteronomy 30:11, 14). Additional references to the natural law may be found in the test of Abraham in Genesis 22, which was a test that disregarded the natural law; in Genesis 9:6; and in Romans 13, a full discourse on natural law. Natural law, then, is the law of God that is written in the heart of every man so that his reason may guide his potent power of free will. The “likeness” of God mentioned above has been defined as grace. In that case, what is grace? St. Paul says, “They are justified freely by his grace through the redemption in Christ Jesus, whom God set forth as an expiation, through faith” (Romans 3:24-25). Hence, grace is a means to justification. Further on in Romans, St. Paul clarifies grace, “[W]e have peace with God through our Lord Jesus Christ, through whom we have gained access [by faith] to this grace in which we stand, and we boast in hope of the glory of God” (Romans 5:1-2). Since we may “boast in hope of the glory of God,” it follows that grace must be a friendship with God, a partaking in His glory. In Galatians, St. Paul goes so far as to say, “…to ransom those under the law, so that we might receive adoption…. So you are no longer a slave but a child, and if a child then also an heir, through God” (Galatians 4:5, 7). So, grace is not limited to a simple gift; it actually makes us children of God. It is the gift that allows us to get into Heaven. It is a “reconciliation” (2 Corinthians 5:18); “circumcision” (Galatians 6:15); “inheritance” (Colossians 1:12); and makes us “fellow citizens” and “members of the household of God” (Ephesians 2:19). The Prologue of the Gospel of John, which consists of verses 1 through 18, follows up on the concepts of not only Grace but also of Nature and Natural Law and Universality and Particularity. With regards to Grace, John says, “And the Word…full of grace and truth…. From his fullness we have all received, grace in place of grace, because while the law was given through Moses, grace and truth came through Jesus Christ” (John 1:14, 16-17). Since the Word, the eternal Logos, of God is full of the most perfect grace and truth, He transfers nothing but grace in a fuller sense to mankind by becoming man Himself and glorifying human nature. His Incarnation is all the more splendid when one realizes that “All things came to be through him, and without him nothing came to be. What came to be through him was life and this life was the light of the human race…. The true light, which enlightens everyone, was coming into the world” (John 1:3-4, 9). The Word of God is so perfect that It is, in Itself, a Person, and the Word of God created the universe. Thus it is that the Word humbles Himself infinitely by taking upon a human nature that He Himself created. He is the cause of human nature, for He created the order of the universe. Further, He is also the natural law, for natural law is a part of human nature. Finally, the Word comes not only particularly, for “he came to what was his own, but his own people did not accept him. But to those who did accept him he gave power to become children of God, to those who believe in his name” (John 1:11-12). Therefore, grace is not limited to a particular group of people, for those people rejected it by rejecting Him. Grace must be offered as a free gift to all, universally, for whoever wishes to take it. Though the idea of grace being given by the Word appears somewhat new, the idea of the Word himself is known and predicted in even the Old Testament. The Book of Sirach plainly states, “From the mouth of the Most High I came forth, and mistlike covered the earth…over every people and nation I held sway. Among all these I sought a resting place; in whose inheritance should I abide?” (Sirach 24:3, 6-7). The “inheritance” mentioned here is a foreshadowing of the grace that is later preached by St. Paul and others; it echoes Colossians 1:12. For the Creator tells the Word, “In Jacob make your dwelling, in Israel your inheritance” (Sirach 24:8). Grace is a gift from God that makes man heirs to God; Israel is the Chosen People of the Lord; therefore, it naturally follows that the Chosen People will receive God’s Grace. But, as one learns from John, those to whom the Word came rejected Him, so grace is conferred upon all. The eternity of the Word, furthermore, may be found in Proverbs: “The Lord begot me, the first-born of his ways, the forerunner of his prodigies of long ago; From of old I was poured forth, at the first, before the earth…. When he established the heavens I was there…. Then was I beside him as his craftsman, and I was his delight day by day” (Proverbs 8:22-23, 27, 30). The Word is not created—the Creator begets him. He is “poured forth” as the creative Intellect of God to form all creation. Also, the Word is just as responsible for creation, for as God is the Creator, He is the Intellect of God that caused everything to have being, so powerful is He. Thus, the three themes of Grace, Nature and the Natural Law, and Universality and Particularity are promulgated in either deep or shallow meanings of Biblical texts. From them, one can learn of the gift of grace given to man by God and how to attain it; of the very nature of man and how he is to follow the voice of God within him; and of God’s loving Mercy and how, if man does not follow the particular promulgated law, he may still retain hope of salvation.